There's a treasure trove of fascinating facts in the preliminary report issued by the Australian Transport Safety Bureau Friday morning and I promise I'll get to all of it. But not in one blog, there's just too much here. Today let me just address the news. The ATSB has issued another safety recommendation and Qantas has let’s see, one, two…now! to comply. After discovering what might be a manufacturing flaw in an oil feeder pipe in the engine that went bust on Qantas Flight 32 November 4, the folks at the ATSB and Rolls Royce are thinking perhaps a misalignment might have caused thinning in one wall of the pipe - leading to fatigue, leading to cracks, leading to oil leaks, leading to the engine fire, leading to the unfortunate and highly dramatic failure of the A380 ’s number 2 engine. To the right, is the photo the ATSB released to illustrate the damage. Frankly, I’m not enough of a gear head to see it exactly. Is thinned metal in a tube really photograph-able? I’m not so sure. ATSB Chief Commissioner, Martin Dolan told reporters this morning the inspection is highly specialized, involving borescopes and stuff. So the Civil Aviation Safety Authority has directed Qantas to look for any “abnormal or eccentric counter-boring of the tubes” within two flight cycles, in other words right away. 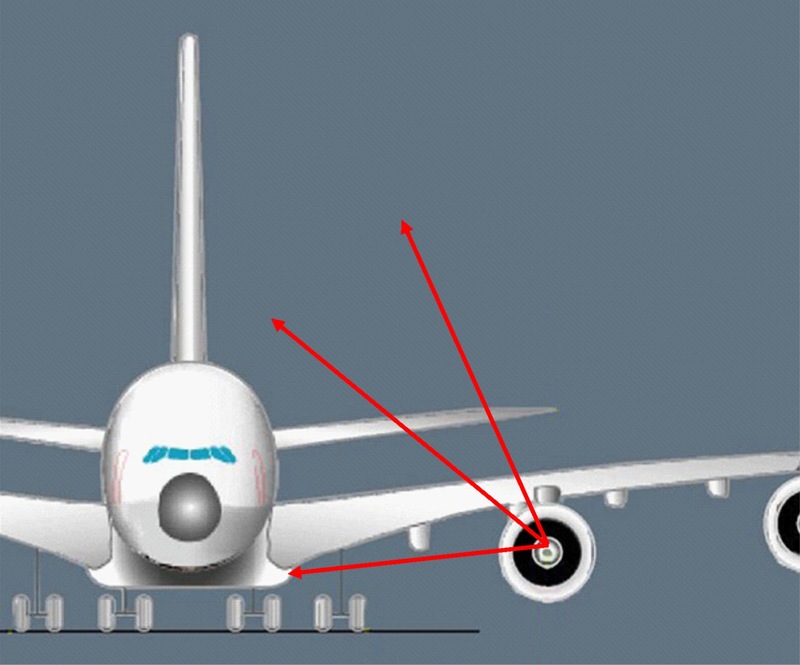 If this manufacturing defect is anything more than a one-off, inspections by Qantas Lufthansa and Singapore, the other two airlines flying with Trent 900s on their A380s, it should show up pretty quick. The engines are also going to get a software update, a little high-tech Mr. No so that if an engine starts to over speed, which is preliminary to its busting out the sides of its housing, the electronics that are so crucial to aviation in the 21st century will put a quick halt to that by shutting down the engine. And just in case you want further illustration of why runaway engines need to be held in check, take a look at this graphic from the same ATSB report showing the trajectory of Flight 32’s bad boy when its engine parts were “liberated” - flying through the engine cowling and causing plenty of thumps, hisses and OMGs among the 469 people on board. Is this not a picture worth a couple of hundred words? Holy s… being the first two? What do you think the passengers with seats on the upper deck left side are thinking today? While a lot of ground has been covered by investigators so far, I suspect round about now, the three airlines flying Trent 900 engines, may feel a little bit like circus clowns ad libbing their way through each new day and wondering when the next cream pie will smack them in the face. We need to be a little careful here. Is a defective oil pipe the root cause of an uncontained turbine disc failure? Or did something else cause that oil pipe to fail, or contribute to it failing. 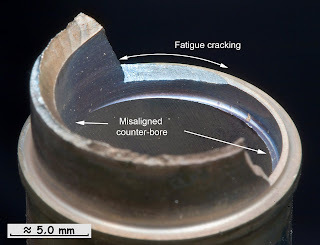 There is talk of a fatigue failure of the pipe assembly but why should the connection of an oil pipe be stressed at all? It sounds like something else in the engine is moving more than it should. A seasoned flyer would never sit in line with the engines! There is a famous incident of a GE CF6 shedding blades on a DC10 and a passenger being sucked out of the smashed window. Very nasty. At this point, the ATSB thinks the fatigue was the result of the manufacturing error in the pipe. As for sitting out of line of the engines, my entertainment is watching the wing in action on takeoff and landing. So are you telling me I'll have to fly only MD-80s and Fokkers? You will observe with tail mounted engines that the pressure bulkhead lies forward of the rotatng machinery - an early airworthiness requirement! 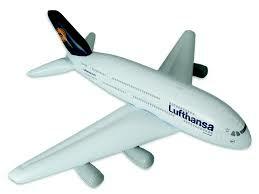 Sit just behind the wing and watch the worm drives operating the flaps! On the 777 you can watch the entertaining low speed aileron twitching away too. Hello Christine, my take, sit where you will. The day your time comes, nothing can save you, and before that, nothing can take you! You're right Samir, this life is just me waitin' to leap into the arms of Jesus. Thanks for setting that record straight. I'll be more afraid of a flight attendant spilling hot coffee on me while sitting in an aisle seat, only to have them yell at me saying, it was my fault than an uncontained engine failure with parts flying into the cabin. 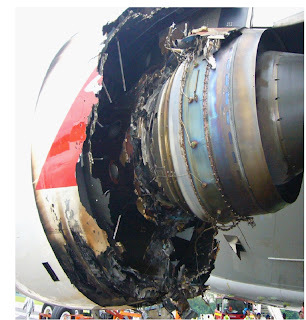 MD-80 would be a bad choice Christine, remember the Delta MD-80 series uncontained engine failure in Pensacola where parts came flying into the cabin like some rotating torture killing device from a Bruce Lee movie. The photos were gross. Don't want to sit over the wings ...... I've seen mishap photos of impaled passengers, shish kabob, when parts of the landing gears and sharp pointy objects in the landing gear wells came up through the cabin floor during a crash. Yes, extremely gross! Don't want to sit next to the lavatory, as walls from the lavatory separated and crushed and killed passengers during a crash. Don't want to sit behind a video monitor, seen a photo of shards of sharp parts of the video monitor stuck in a passengers skull after a crash. Gross, but amazingly, the passenger survived. You'll have to carry your own duct tape and tape shut the tray table in front of you closed, prior to a crash. Ever wonder how that tiny little clip that keeps the tray table shut during a severe crash? Seen photo of a passenger literally "table tray sawed" in half by the tray table after a crash. Yes, again very gross. Ever wonder where all the baggage containers below you ends up in a severe crash? There's only so much the law of physics say's you can crush before the opposite forces starts to counter-act .... up and through into the passenger cabin. There's always been theories of where to seat is the safest, for example the rear of the aircraft where the fuselage breaks away etc. Or the sit 3 rows behind the nose gear... that's a good excuse to fly in the front cabin all the time. But when Grim Reaper knocks on your seat back and tells you it's time to go, it doesn't matter where you sit, whether sitting in-line with the engine, in front of the engine, in back of the engine, next to the lavatory or sitting in the lavatory doing your thing ...... when it's time to go, it's time to go. So it's better not even to think about it and stress about it, whether an engine part will come flying through the cabin and killing you. That was very well said. Totally agree with the views above. Dont waste life fretting and being scared about death. Just enjoy the today and do everything that makes you happy, so that you have no regrets when the time to go does come! Re the A-380, yes, like with any new machine, we have a lot to learn. It is certainly satisfying to see the methodical and scientific way in which this investigation is progressing. Great work Christine. Your reporting has helped us remain on the top of the events as they develop. Two different kinds of engines are used to power the fleet of A380s; the one that came apart near Singapore is the Rolls Royce Trent 900. Like all Rolls Royce engines, the Trent 900 adds another set of compressor blades into the mix, the so-called Intermediate Pressure (IP) compressor. Instead of squeezing the air in two stages, the engine does it in three. I think this event hast gotten a lot of attention because it happened on an A380, but uncontained disk failures are not that uncommon and are definitely not exclusive to one engine manufacturer. Interesting read...am curious about more details. Being from the Fighters, I have known of cases in the Russian fleet, Specially Mig-27s. But I thought this was more common to high compression ratio engines and not too common with the airline engines. Am looking forward to more on this. Thanks Christine !